Three of the five richest candidates belong to the Congress party. Kamini Jindal of the National Unionist Zamindara Party tops the list with Rs 287 crore. 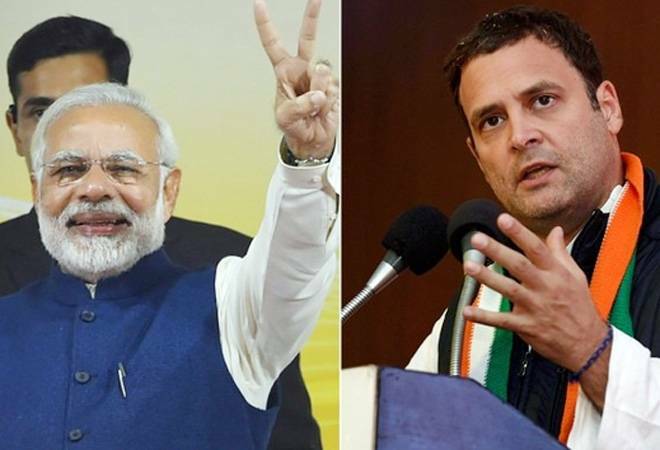 Both the BJP and the Congress party have fielded rich candidates in the Rajasthan Assembly elections 2018. As per the latest report by ADR (Association for Democratic Reforms) and Rajasthan Election Watch, 81 per cent of the BJP candidates fighting the Assembly elections in Rajasthan are crorepatis. The Congress party is also not far behind. The Opposition party in Rajasthan has given tickets to 77 per cent crorepatis. Other political parties, including RLP (35 per cent crorepatis), Bahujan Samaj Party (BSP) has 22 (22 per cent crorepatis) and AAP (18 per cent crorepatis), also have a decent number of crorepatis fighting the Assembly polls. ADR and REW also analysed 137 out of 143 re-contesting MLAs, excluding six whose affidavits submitted by them in either of the Assembly elections (2013 and 2018) were badly scanned. As per the report, the average assets of re-contesting MLAs in 2013 was Rs 7.24 crore, which has now increased to Rs 9.93 crore -- a considerable 37 per cent growth. Among all the parties contesting the Rajasthan Assembly polls, the wealth of the BJP candidates re-contesting the polls increased by 44.36 per cent. The Congress party saw 18.9 per cent average increase in assets of the candidates re-contesting the polls. As per the ADR and Election Watch report, which was released on December 4 after scanning the nomination papers filed by all the candidates, 10 per cent of the candidates fell in the Rs 2-5 crore asset bracket. Three of the five richest candidates belong to the Congress party. Kamini Jindal of the National Unionist Zamindara Party tops the list with Rs 287 crore. Jindal's assets grew by 46 per cent (Rs 90 crore) from Rs 197 crore in 2013. Parasram Mordia, who is fighting from Dhod constituency on the Congress ticket, has assets worth Rs 172 crore. Mordia is followed by BJP MLA Prem Singh Bajore, whose income saw a 62 per cent rise in assets to Rs 142 crore. Om Bishnoi, a Congress ticket holder from Sadulsahar Assembly constituency, has assets worth Rs 128 crore. Anjana Udailal of the Congress, who is contesting from Nimbahera constituency, owns properties worth Rs 107 crore. The Congress party has a maximum of 14 per cent of criminal cases registered against its candidates, followed by the BJP with 11 per cent. On the education level, total 12 candidates fighting the polls are illiterate, while as many as 114 are just 5th pass. Maximum 345 candidates are postgraduates and 353 are graduates. In the age group category, only two candidates fall in the 81-100 age group, while maximum 583 come under the 51-60 age bracket. As many as 52 candidates are also in the age group 71-80. Most parties have given less importance to women candidates. Of total 2,188 candidates contesting elections, as many as 2,006 are men, while just 182 are women candidates.